How do you know that the change is here? You know it when major cities—including New York, Los Angeles, San Francisco, Amsterdam, Copenhagen and Cape Town—announce that are phasing out pure diesel bus procurement by the end of 2020. And when Paris, Madrid and Mexico City have committed to removing diesel buses from their cities by 2025. 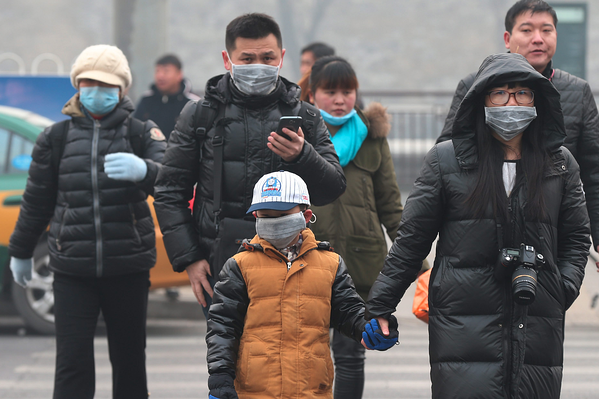 These cities are acting in direct response to effects of ground-level pollution caused by diesel-powered buses and heavy transport vehicles. Does anyone, anywhere on the planet approve of the air pollution that is choking our cities? We’ve all seen the photos of people trudging through dense haze, facemasks on. You don’t need a scientist to confirm this isn’t right. The status quo is not sustainable. It is easy to point the blame at mega-cities like Beijing, but the problem is global one, affecting cities from Warsaw to Los Angeles. Personal health is only of the many issues caused by diesel-generated smog. The good news is, there is a solution: proven zero-emission technologies are ready to step in and replace diesel-powered buses. The technology contender that is poised to take the lion’s share of this new market is Fuel Cell Electric Buses. FCEBs combine zero tailpipe emissions with better-than-diesel performance - they are 1.4 times more fuel-efficient than diesel legacy systems. https://energy.gov/eere/fuelcells/articles/doe-fuel-cell-bus-analysis-finds-fuel-economy-be-14-times-higher-diesel. Every major bus manufacturer is now aligning themselves with fuel cell providers, so they can offer FCEB options for transit. If you think about it, some of the world leaders in diesel technology may be extinct in 20 years. While they may scoff at such a statement, Kodak scoffed at the potential of digital photography, and where is Kodak now? The reality is that the new generation of bus propulsion will be zero emission, not low emission. Fuel cell power systems like Ballard Power Systems—the segment’s market leader—may be tomorrow’s preferred diesel replacement. When major cities like London, Paris, or Mexico City state their intentions of eliminating diesel-powered buses from their public transportation fleets, it’s easy to speculate that all forms transportation will be affected. From commercial trucks to commuter cars, any vehicle type could be affected by future policies or legislation, and not only in major urban centres. While the changes, and their effects, could be far-reaching, we should be looking forward to the day when the smog begins to clear. This is a revolution that has taken far too long already. It is time. Join in the conversation. What are your thoughts on this blog?